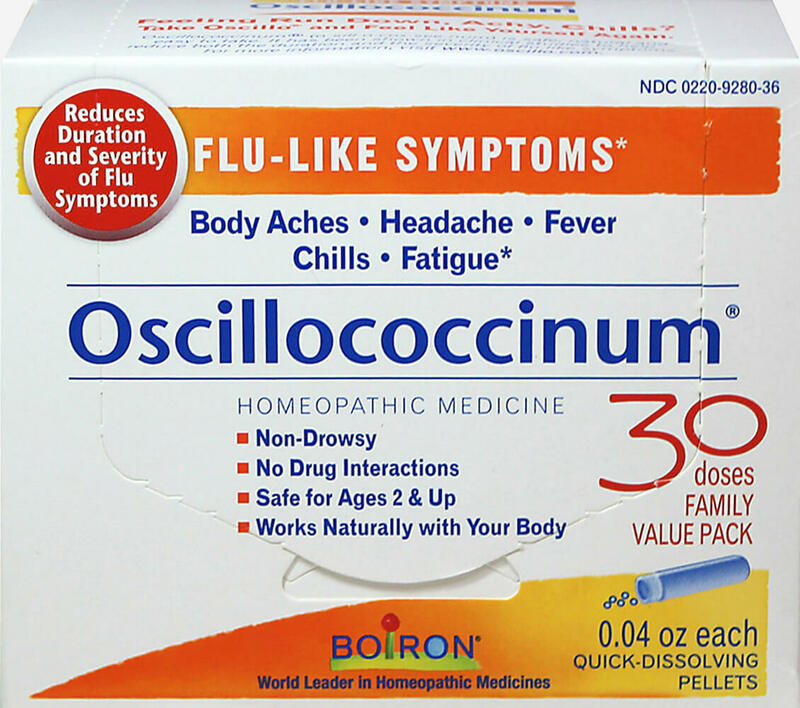 Oscillococcinum reduces the duration and severity of flu-like symptoms, such as body aches, headache, fever, chills and fatigue. ** Oscillococcinum does not cause drowsiness and has no known interactions with other medications. Its sweet-tasting pellets dissolve quickly under the tongue, no water, chewing or swallowing is required. Recommended for everyone ages 2 and up, Oscillococcinum works best when take at the first sign of flu-like symptoms.